The University of New South Wales (UNSW), based in Sydney, was established in 1949 and is one of Australia’s leading research and teaching universities with more than 50,000 students from over 120 countries. 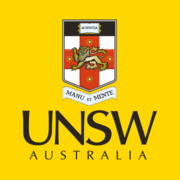 UNSW aspires to provide students with an outstanding educational experience, which both reflects our strong traditions of excellence, innovation and social justice, and builds on our strengths in scientific, technological and professional disciplines. Scaling up Excellence - How to run a world class MOOC via OpenLearning 8th May, 2014 No reviews yet. 22nd Aug, 2016 No reviews yet. 5th Sep, 2016 No reviews yet. 24th Oct, 2016 No reviews yet. Disability and a Good Life: Working with Disability via FutureLearn 5 hours a week , 6 weeks long 5 hours a week , 6 weeks long 20th Feb, 2017 No reviews yet. Introduction to Learning and Teaching in Higher Education via FutureLearn 3 hours a week , 3 weeks long 3 hours a week , 3 weeks long 14th May, 2018 No reviews yet. 4th Jun, 2018 No reviews yet. Introduction to Enhancing Learning and Teaching in Higher Education via FutureLearn 3 hours a week , 5 weeks long 3 hours a week , 5 weeks long 25th Jun, 2018 No reviews yet. Through Engineers' Eyes - Introducing the Vision: Engineering Mechanics by Experiment, Analysis and Design via FutureLearn 4 hours a week , 4 weeks long 4 hours a week , 4 weeks long 1st Oct, 2018 No reviews yet. Through Engineers' Eyes - Expanding the Vision: Engineering Mechanics by Experiment, Analysis and Design via FutureLearn 4 hours a week , 4 weeks long 4 hours a week , 4 weeks long 12th Nov, 2018 No reviews yet.